Why our legal content author services? Because a content author can forge your literary vision into fruition. Being an author is a notable achievement that has immense professional benefits. It helps you stand out in your field and displays your expertise fit for publication. A legal content authors represents your best foot forward, a legal mind that crafts remarkable content for the most complex writing needs. Our content savvy lawyers take legal content generation to the next level for masterful SEO gains. We deliver exquisite legal content, online and offline, credited entirely to you. What is a legal content author? Our legal content author services is a very professional approach to content marketing and law firm reputation. It leverages your comprehensive knowledge as a legal expert and packages it into a body of writing that exemplifies high standards. Whatever the goal or subject matter, a legal content author writes for long-term benefits. Deliverables can even become a source of revenue. A time intensive undertaking that typically requires research, citations and your collaboration. Exemplifies your legal capabilities and notable achievements as a lawyer or law firm. Distinguishes your high aptitude in an area of law for industry or client recognition. Creates a recognized name for legal solutions and a possible source of book revenue. When do I need a legal content author? For advanced legal content writing that really impresses and reflects your high level of legal competence. As a master in your field, savvy prospective clients will find your name as they research or self-educate, and seek out your services. When you hire a lawyer to be a ghost writer for advanced legal content writing deliverables it provides a real value to readers. Amazing writing can reach millions and last forever, imagine the long-term benefits. Where can I find legal content author services applied? Authoritative written report on any legal issue(s) a group faces for unbiased information, or as a general explanation and analysis of a topic or known problem; all without giving advice. A legal ghostwriter is a lawyer that authors any written material you want to be directly acknowledged for and gives you full credit as the author of that writing. 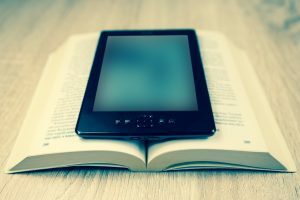 An electronic or print book written for commercial or in-house distribution that educates or informs a reader on any subject such as: an autobiography, legal history, the law, etc. Explanation of any official writing such as a court or agency ruling that provides a person without legal knowledge insight into the legalese, rationale or possible consequences behind it. A research-backed paper that focuses on a theory or explanation of factors that influence specific law or its enforcement. Attempts to clarify the reasons behind certain statistics or known issues. A comprehensive outline with masterful explanations and examples used to educate on a series of subject matter and topics; to be read or presented, or otherwise applied as a learning/teaching aid. Whichever deliverable fits your advanced content writing objective. White papers explain statistics, results, conclusions, or any position that a group desires to collaboratively explore. Ghostwriting by a lawyer ensures you have a legal professional as your author for any literary reason. E-books or books can be any type of publication including a single volume or series. Legal opinions give a specialized perspective from the view of a practicing attorney on a judicial, legislative or executive branch matter. Case studies hypothesize why certain social, political, scientific or other aspects impact a result or legal outcome. Course materials are designed to educate or assist in teaching. Contact us to learn more about our unique legal content author services.